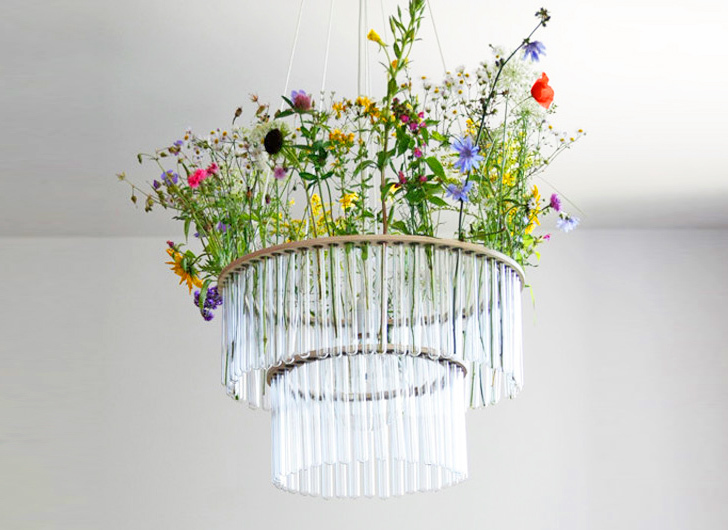 Designer Pani Jurek has constructed these brilliant two-tiered chandeliers from test-tubes which can be individually transformed by filling them with flowers, water, or anything that fits! The artist created the frame from two different levels of plywood before shaping an organic circular form with the test-tubes. We love that users can interact with the glowing lamps to make each one entirely unique depending on what is placed within the glass tubes. Hailing from Poland, Jurek was loosely inspired by the renowned chemist and physicist Marie Sklodowska Curie, a fellow Polish native. With the idea of using the scientific objects for a new purpose, Jurek combines science and creativity in an unusual and illuminating way. Take a look at the pieces for sale at Etsy. 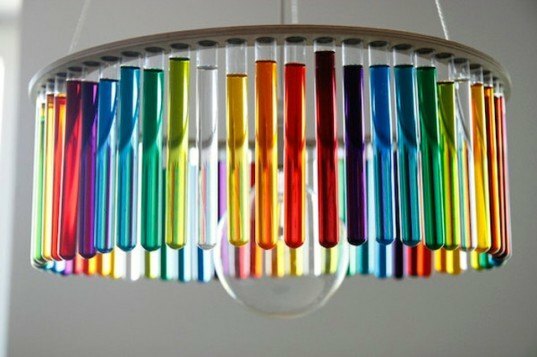 Designer Pani Jurek has constructed these brilliant two-tiered chandeliers from test-tubes which can be individually transformed by being filled with flowers, water, or anything that fits! We love that users can interact with the glowing lamps, and each one will be entirely unique depending on what is placed within the glass tubes. The artist created the frame from two different levels of plywood before shaping an organic circular shape from the test-tubes.